Houghton Mifflin Harcourt, 9780151014187, 336pp. In the wake of the news that the 9/11 hijackers had lived in Europe, journalist Ian Johnson wondered how such a radical group could sink roots into Western soil. Most accounts reached back twenty years, to U.S. support of Islamist fighters in Afghanistan. But Johnson dug deeper, to the start of the Cold War, uncovering the untold story of a group of ex-Soviet Muslims who had defected to Germany during World War II. There, they had been fashioned into a well-oiled anti-Soviet propaganda machine. 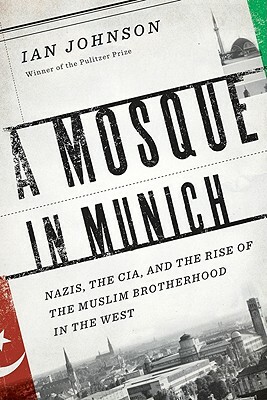 As that war ended and the Cold War began, West German and U.S. intelligence agents vied for control of this influential group, and at the center of the covert tug of war was a quiet mosque in Munich--radical Islam's first beachhead in the West.